TechDays Online – November 6-8: The final programme update! Featuring Steve Ballmer, Will Greenwood and the Lotus F1 team! 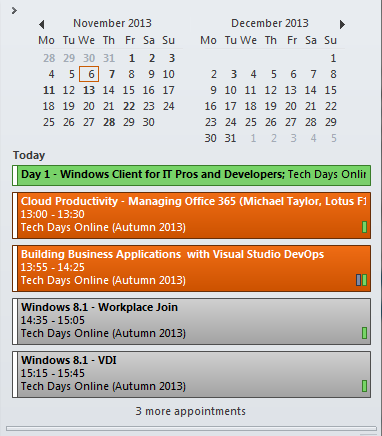 Here is the Final programme update for each day of UK Tech.Days Online (Autumn 2013) from Wednesday November 6-8. This entry was posted in Development, Office365, SharePoint, Visual Studio, Win8, Xpert360. Bookmark the permalink.